At SER we understand the challenges our customers face in a constantly evolving marketplace – growing profit while saving time, improving productivity and building your reputation is absolutely essential. 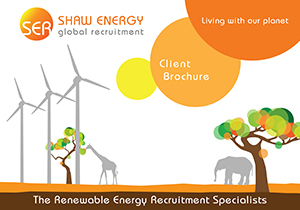 Moreover, we recognise that you need a renewable energy contract & interim recruitment company to be adaptable and flexible, with the experience to help you sustain a competitive advantage in your market. SER’s years of experience in our industry have allowed us to develop the best mechanisms to engage quality, hardworking temporary or contract staff for any required assignment. SER specialise in contract and interim renewable energy recruitment. Our specialist, industry trained renewable energy recruitment consultants quickly identify the best talent that can seamlessly integrate into your existing renewable energy project teams. We work for you, ensuring you get the right renewable energy contractor for the right project, every time. SER’s adaptability and experience make us the partner of choice for many Renewable Energy Consultancies, EPCs, IPPs & Manufacturers. Our innovative service enables the employer to employ renewable energy contractors on a direct basis(or through an umbrella company) and benefit from not being charged an ongoing agency margin, thus making substantial cost savings. Our cost-effective renewable energy recruitment solutions can offer substantial savings to your ongoing contract and interim budget whilst always ensuring you a professional and transparent approach.